The first St. Louis gate was built in 1694 during the French regime. The gate was closed at night and guarded by soldiers. It was later torn down, rebuilt and modified several times during the 18th century. The gate was torn down again in 1871 because it became useless to protect the city. 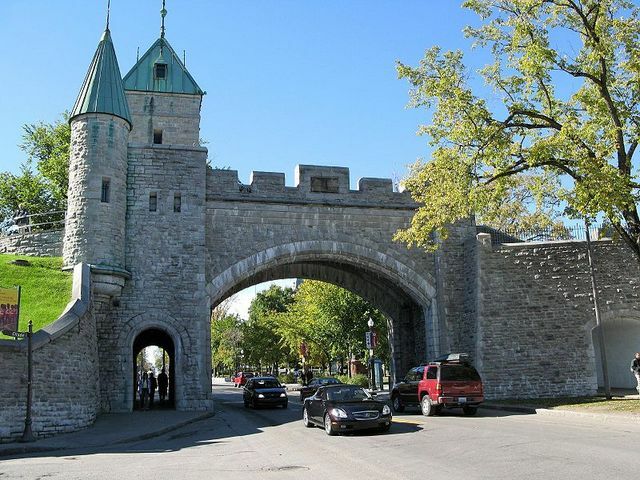 The present gate was rebuilt in 1878 as requested by Lord Dufferin, the Governor General at that time, in order to protect the beauty of the walled city. Residents of that city long had a particular regard for Lord Dufferin after he persuaded municipal officials not to tear down the walls of the Old City to accommodate the provincial capital's expansion.